The U.S. Army Corps of Engineers dredge CURRITUCK in New England in 2012. A series of dredging projects in Carteret County are taking place in the coming weeks, including work in Bogue Sound. The Army Corps of Engineers dredge CURRITUCK is wrapping up dredging operations in Bulkhead Channel near the Beaufort waterfront. Then, they’ll spend three to four days in nearby Bogue Sound touching-up some areas of concern. "The channel has been in pretty good condition this whole entire year," said Greg Rudolph, Carteret County Shore Protection Manager. 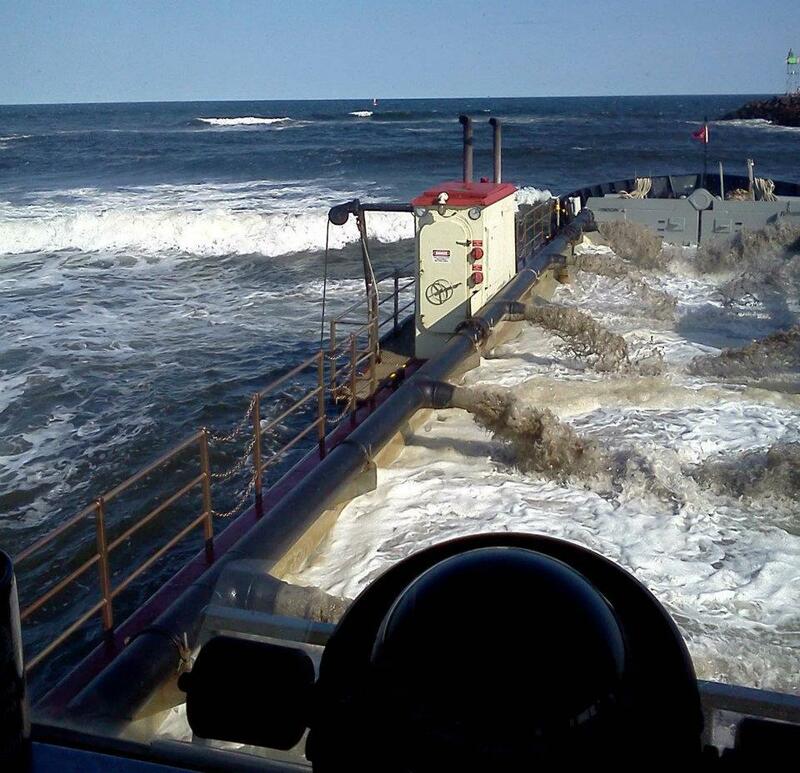 Dredging in the Bogue Sound will focus on removing "pinch points," areas where sediment has collected in the channel. Both projects are paid for by state and local funds. After work in Bogue Sound is complete, the Army Corps of Engineers will begin dredging at Homer's Point in Salter Path. That project is slated to begin the day after Labor Day. Rudolph said two dredging projects at East Taylor’s Creek and Wainwright Slough are still in the permitting phase.